If you're like my friend, Christy, who requested that I write this post many moons ago, you've decided it's time to get rid of some, or a lot, of your child's "stuff" that's cluttering up your home. For many, it's a simple process; hand down everything to a relative or friend's child or pack it all up and donate it to charity. For others, it's a little more unsettling to part with the items one's spent so much money on, especially when going through challenging financial times. While giving things, or at least making them available at a low cost, to those in need, is a wonderful thing to do, the money that can be earned from selling our things can also allow to give in other ways. In the end, it's really all about not letting things go to waste while creating an environment that allows us to live to our highest potential. So, think "recycle, reuse, renew" as you donate, sell and in some cases, toss (as in, the trash) and while you free up your personal space, you could also be freeing up someone else's financial burden. Here are some resources on how to get rid of all that kid clutter, give back to your community, help someone out, and even make some money. Have fun, and Christy, I hope this helped! The benefit of donating is obvious; helping others in need makes you feel good. 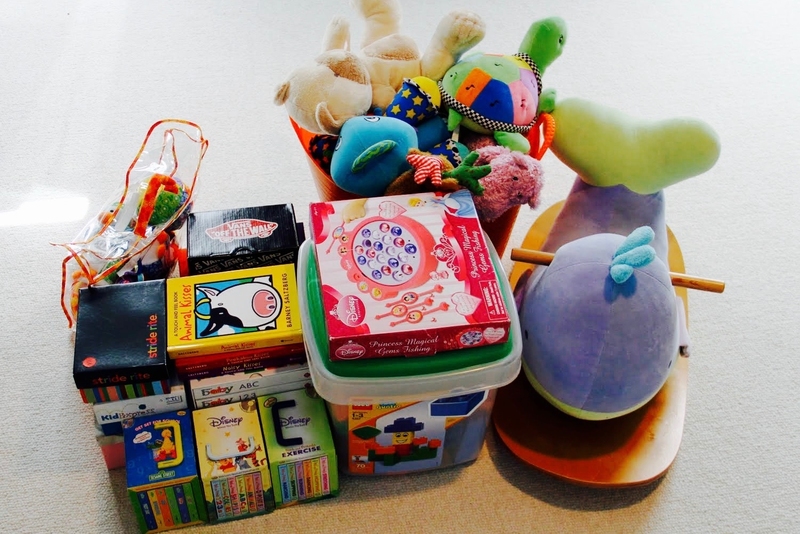 Taking your kids with you to donate their toys also provides a good lesson in the joys of giving. A side benefit to donating to some charitable organizations is that you can claim a deduction on your tax return. Call organizations first to see what items are accepted and what their guidelines are. Many places to don't accept stuffed animals, even if they're gently used, but there are certainly those that do. Who couldn't use a little extra money? While the downside of selling is that it requires time and effort for not much return and you can end up stuck with items that don't sell, the upside is that kids can be enlisted to help and learn about earning money and the money can be used for something that the family can enjoy together or can be donated to a charity. Decide ahead of time that any toys that don't sell, you will donate. That way, if you don't make any money, you can at least feel really good.